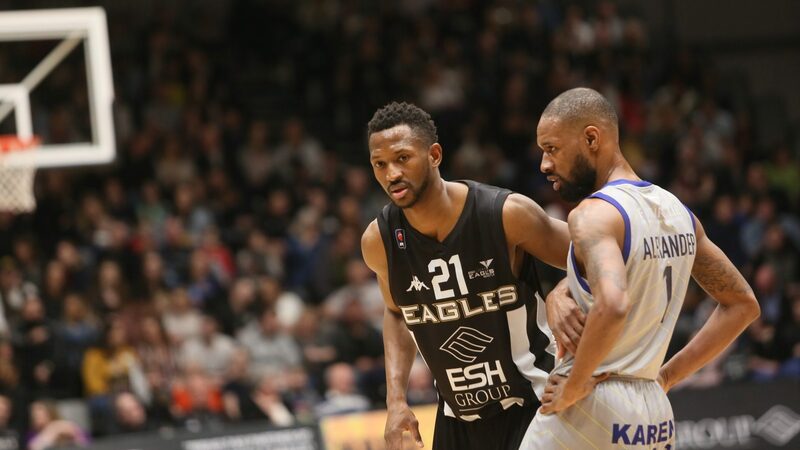 It’s second v fourth in tonight’s crucial BBL Championship game as Esh Group Eagles head down the M1 for the game at the EISS Sheffield against the red-hot in form Sharks, writes Jeff King. 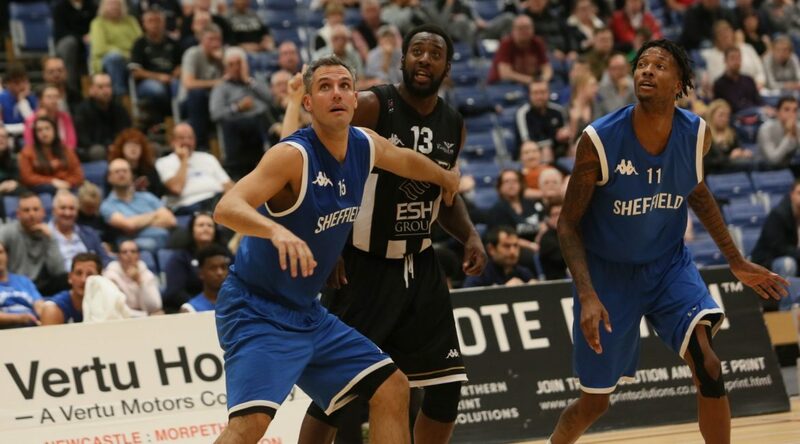 Sheffield have won seven straight cumulating in Head Coach Atiba Lyons picking up The BBL Kevin Cadle Coach of the Month award for November. That run also includes a great road win at Leicester last weekend which took them to an 8 – 3 record and second place in the league table. 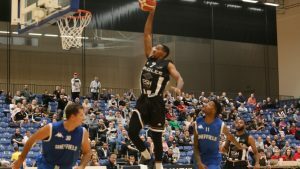 In explosive athletic small forward Dirk Williams, they have a player at the top of his game as his 33-points last week against Riders showed. His main scoring support comes from combo guard Chris Alexander a very dangerous and heavy scorer. Sharks opened the season with a 1 – 3 start and Coach Lyons felt the need for change. He replaced his point guard bringing in Anthony Collins a pass-first guard that has impressed running the side and boosted his front-court with ex-Bristol forward Leslee Smith. 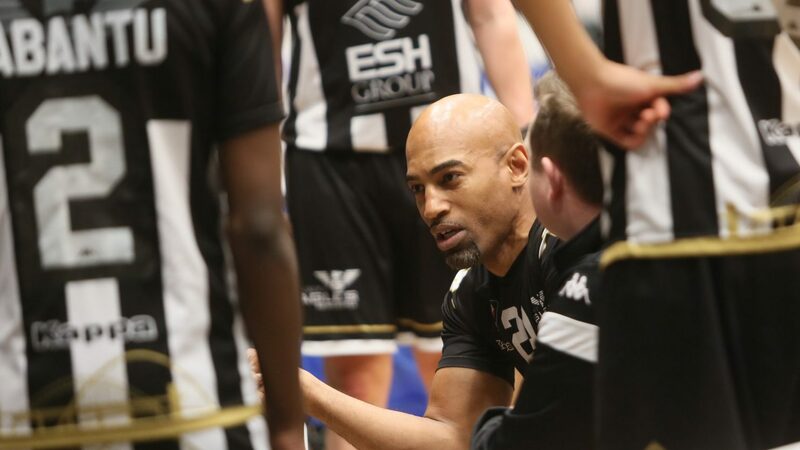 Since those changes his side are unbeaten in The Championship which makes it a very tough prospect for Fab Flournoy and his wounded Eagles as they look to bounce back from the disappointing of going out of The BBL Cup against London Lions last Sunday. The Eagles have a 7 – 4 record in Championship play and can ill-afford to drop another L in the loss column particularly against a side that also has title aspirations on their mind. Five losses before Christmas would certainly give Newcastle a big hill to climb for the rest of the season. Newcastle should be boosted by the return to their ranks of swingman Kai Williams who has trained the last two nights after suffering a knee injury which kept him out of the semi-final clash. He’s pronounced himself good to go to and is keen to get back on court and help his side get back to winning ways. Flournoy and his coaching staff will also be hoping that influential point guard Rahmon Fletcher is back on track after being held to a mere four points by a tough London defence in that 12-point second leg loss. A loss that meant that Newcastle must switch their attention to league play. The two sides did meet pre-season home and away before the domestic season commenced with each side taking a win at home. But that was back in September and changes in personnel on both sides make tonight’s first competitive meeting of the season that much more intriguing. With the excitement off the court of their imminent move to their own Arena planned for early January, the Eagles want to fly in to the fabulous new facility perched and poised for an assault on the remaining pieces of silverware open to them this season. After tonight they have their final game at Northumbria University next weekend in The BBL Trophy against City of Edinburgh Kings before travelling to Leicester for another tough Championship road trip to end the 2018 calendar year. If Newcastle can pick up a vital win in Sheffield tonight it would be a great way to put the memory of that semi-final defeat behind them as well as boost confidence for the games ahead as well as arresting a run of three defeats in their last four games. Fans not able to travel to Sheffield tonight can watch the game live for free on the BBL website in a pilot to test brand new automated camera technology being trialled by the league and its broadcast partners.